Co-working spaces are popping up all across the nation, but what does “co-working” mean? We like this description from the Seattle Collaborative Space Alliance (which also links to some cool stories about the history and growth of the movement). Here in the Mountain State, the co-working movement is being embraced more and more with exciting examples like The Hive WV in southern West Virginia and Stray Dog Antiques in downtown Charleston, just to name a couple. In 2012, we launched the capital city’s first co-working space at the West Virginia State University Economic Development Center (EDC) to provide creators a space to work independently, not alone. But co-working isn’t the only thing you’re able to do at the EDC! The EDC is also home to a variety of small business owners, creative professionals, freelancers and nonprofit organizations. We’ve created a state-of-the-art facility that’s jam-packed with resources and perks to help grow your business or idea! Choose from a selection of super affordable membership plans that meet your individual working style and needs. Here is what we have to offer, in a nutshell. Workspace. Whether you are looking for a private, long-term office or you work from home and need a change of scenery for the day, the EDC has you covered. 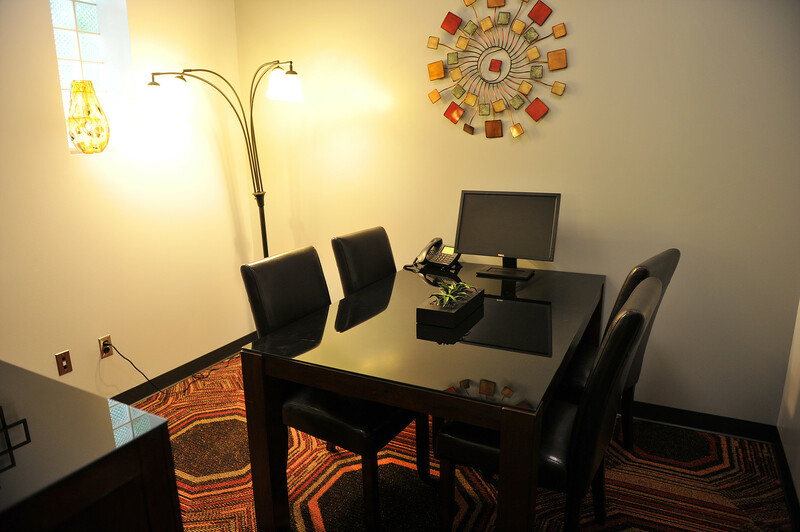 We offer private, fully-furnished office spaces, a flexible shared office and free public workstations with Wi-Fi, phone, coffee and other business-related services. Programs and Services. Need help with your business plan, marketing or logo design? We offer a myriad of business development services with help from coworkers, mentors, community and state organizations and WVSU professors. Plus, our Creators Program delivers free community workshops, panels and talks focused on key skills and knowledge essential to “creating” for mass media and art. Our Creators Program is kicking off the New Year with a super-sized line-up of events that are sure to get your creative juices flowing. Most events are free so register soon to save your spot. Click here for more info and registration. 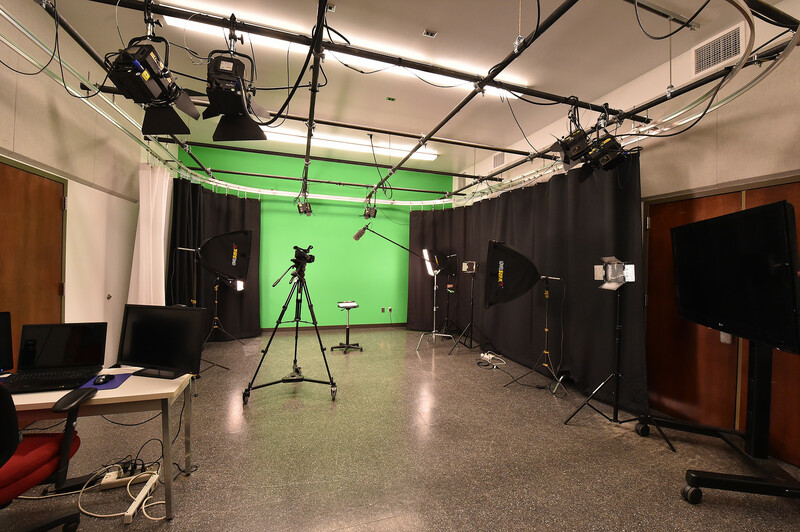 Feb. 16th – Workshop “Business of Film- Working with the WV Film Office” – Learn about the role of the film office, how to find work in the state, location libraries, permits, tax credits and much more. April 5th – Creators Talk: “10 Commandments for Creative Success” with Steve Payne – World-class photographer Steve Payne will discuss the essential elements required for success in the ever increasingly competitive creative world. April 14th – Creators Talk: Capturing Memories: How to Record Family Histories – Learn basic interview techniques, how to ask leading questions, how to make your interview subject feel at ease and how to keep an interview on track. April 23rd – Creators Workshop: 3-D Animation – This hands-on workshop will introduce beginners to Blender, a powerful, open-source 3D software that is available as a FREE download. To find out more about the EDC and how you can become a member, contact us at (304) 720-1401 or via email at jrinehart@wvstateu.edu. Stop in for a tour anytime M-F 8:30 to 5. We are located at 1506 Kanawha Blvd. West in Charleston. Find us on the web at www.wvsuedc.org and on Facebook and Twitter.